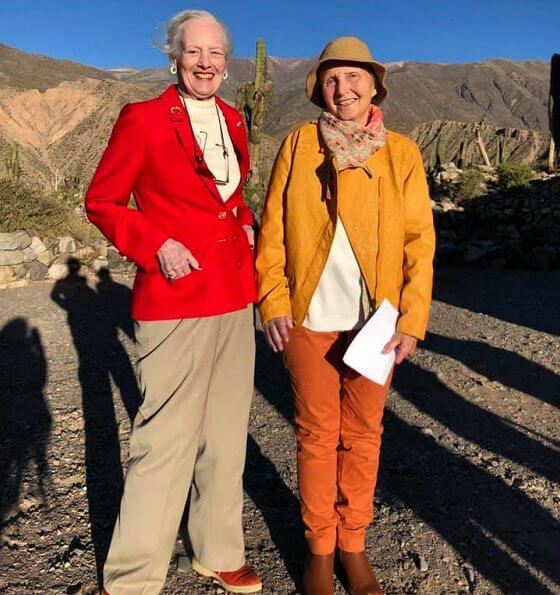 After her state visit to Argentina, Queen Margrethe spent a couple of private days in Jujuy Province in Northern Argentina. 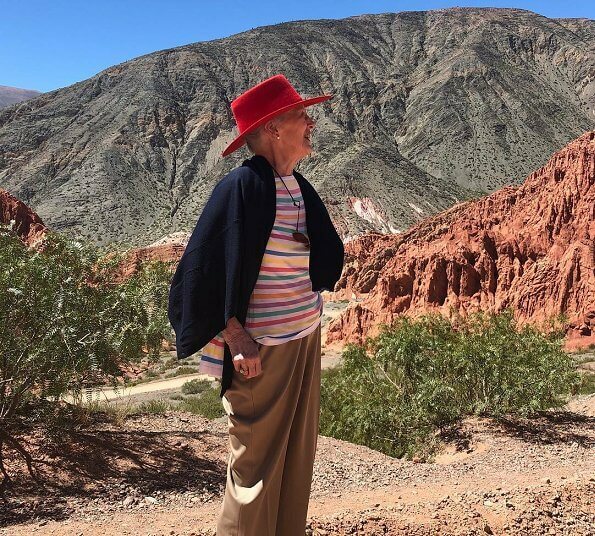 Here, The Queen stayed in the town of Purmamarca, which is at the foot of The Hill of Seven Colors (Cerro de los Siete Colores). 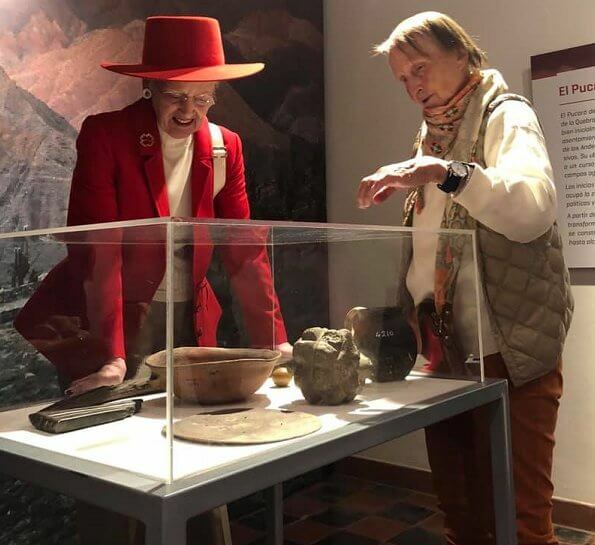 During the stay, The Queen visited Dr. Eduardo Casanova Archaeological Museum in Tilcara and the Pucará de Tilcara archaeological site. The Pucará de Tilcara was declared a National Monument in 2000. During the visit, archaeologist Maria Ester Albeck, who is of Danish origin, accompanied The Queen. The queen looks better in 3 and 4 pics . The red jacket with the beige trousers fit her figure perfectly. I like the daisy earrings . She is so courageous to do this trip since she seems to be suffering from the back. I like the red hat. Wonderful pics of a wonderful Queen. 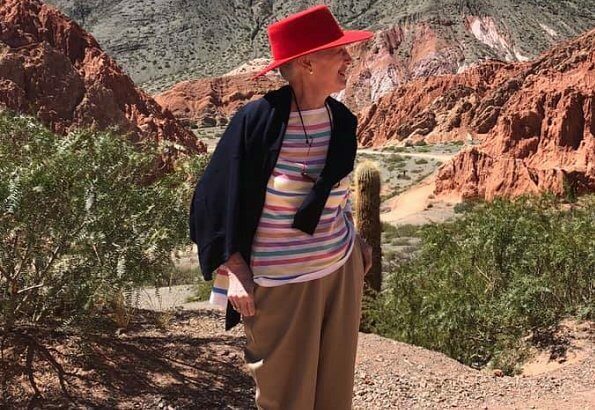 How lovely that she spend a little private time in Argentina.Like the red blazer. Was wondering if she was still in Argentina as Felipe and Letizia are now there. Seemed a bit busy to have two sets of overseas royalty there simultaneously .